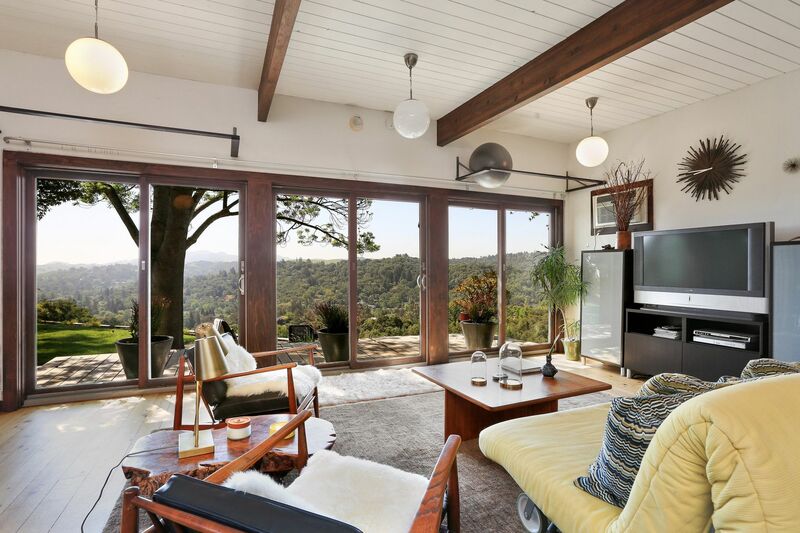 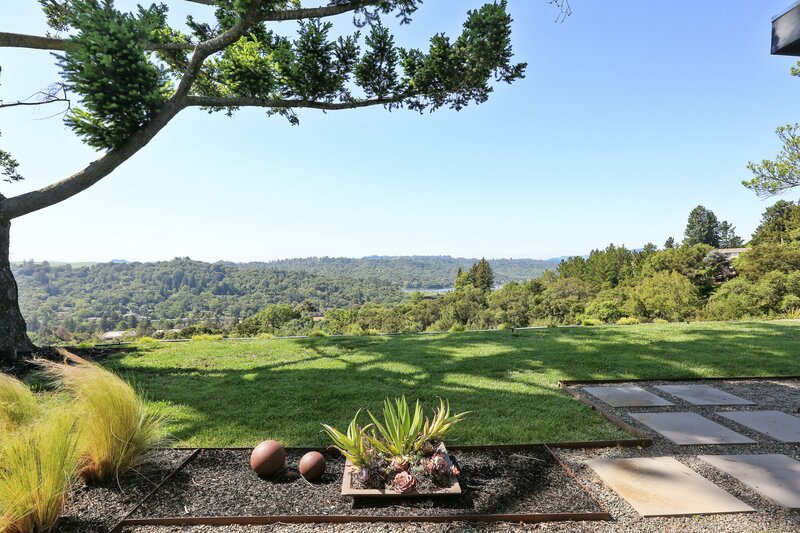 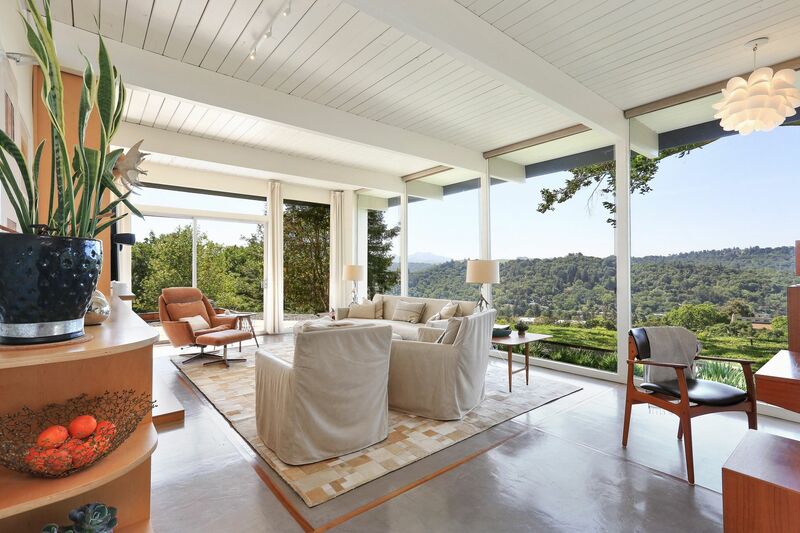 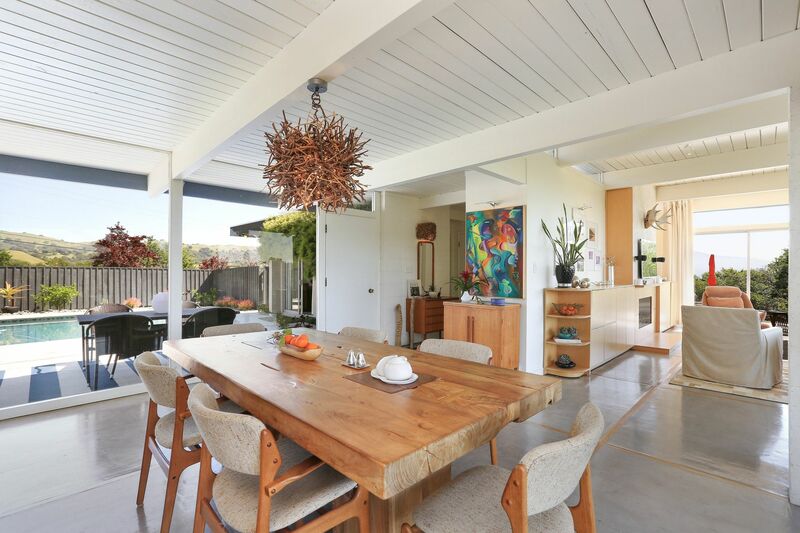 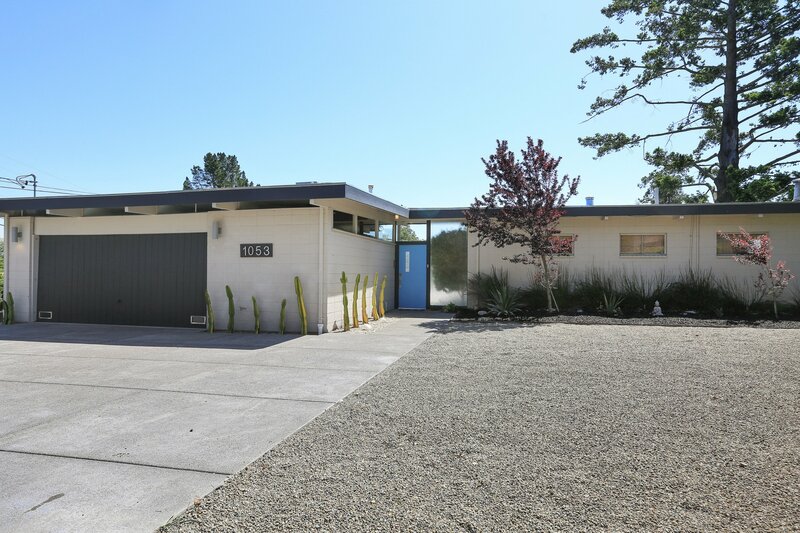 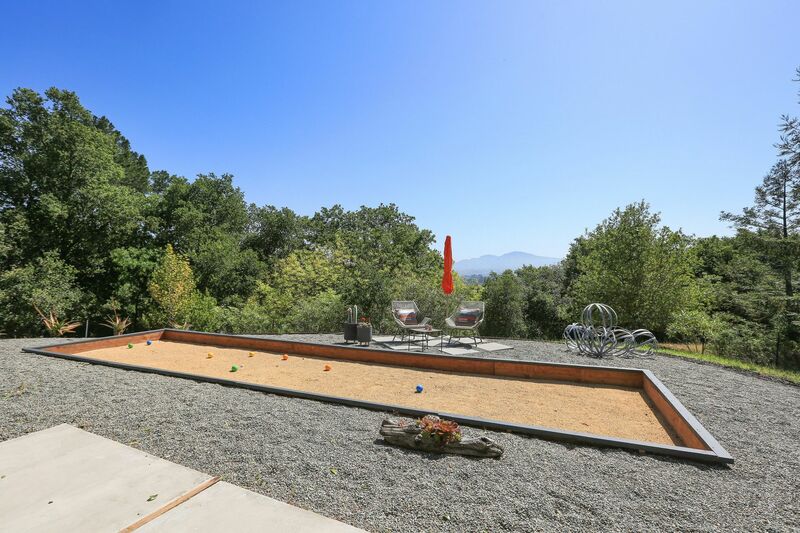 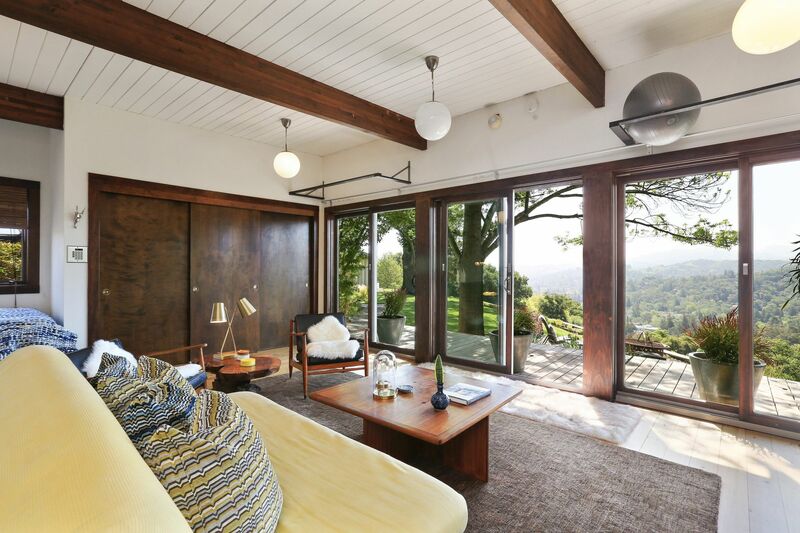 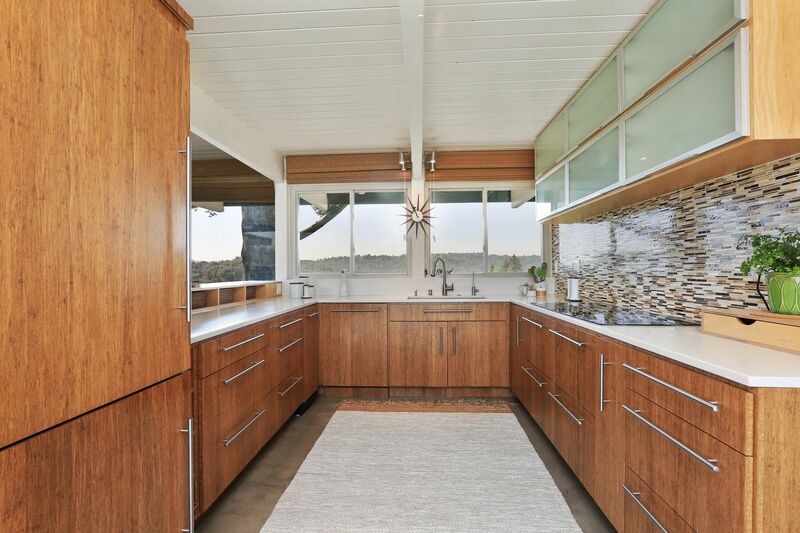 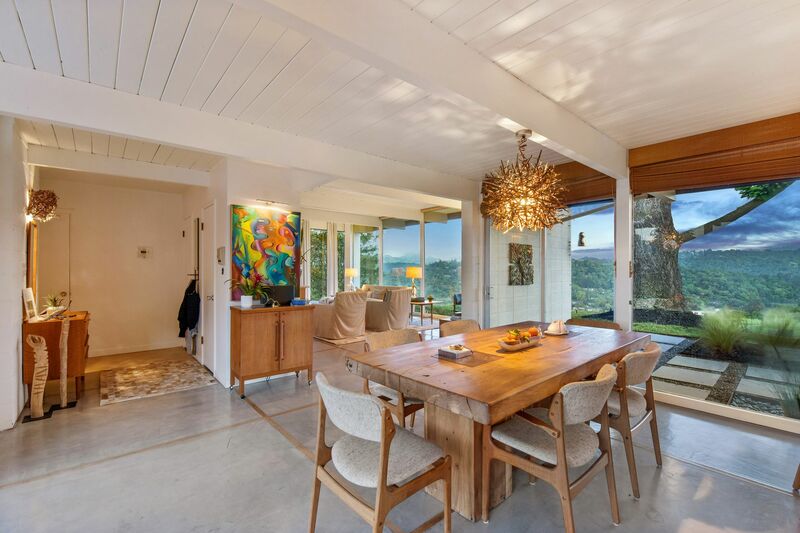 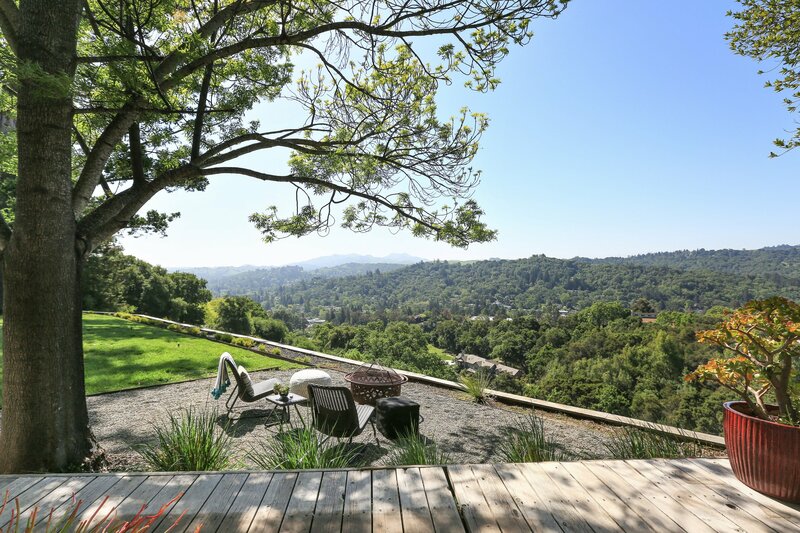 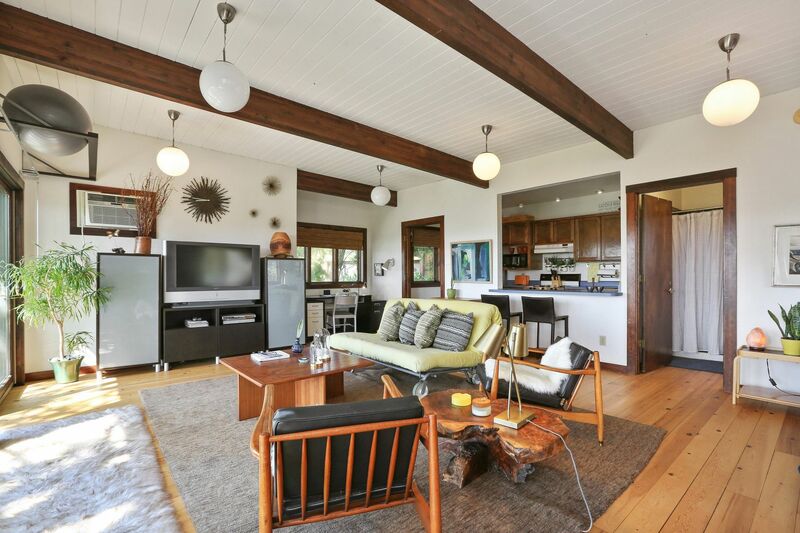 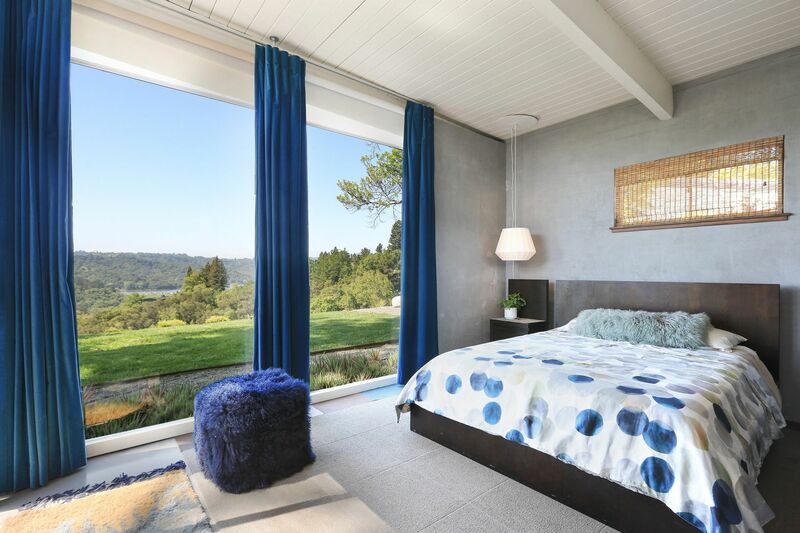 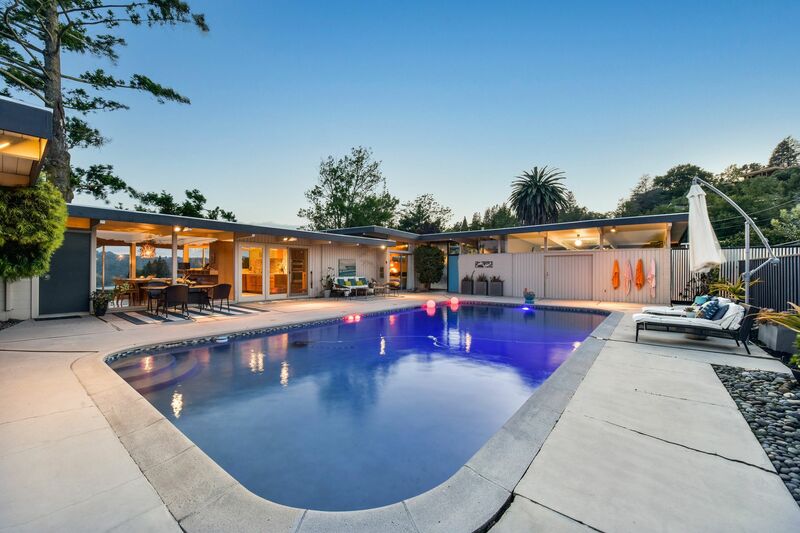 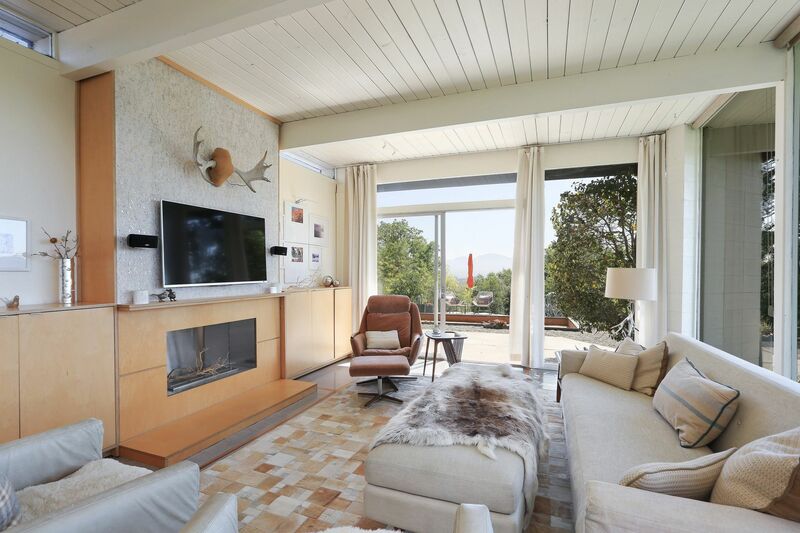 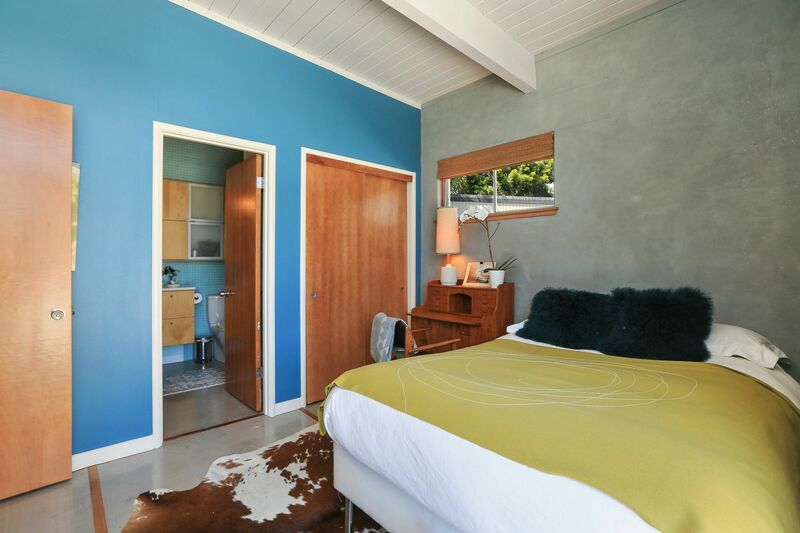 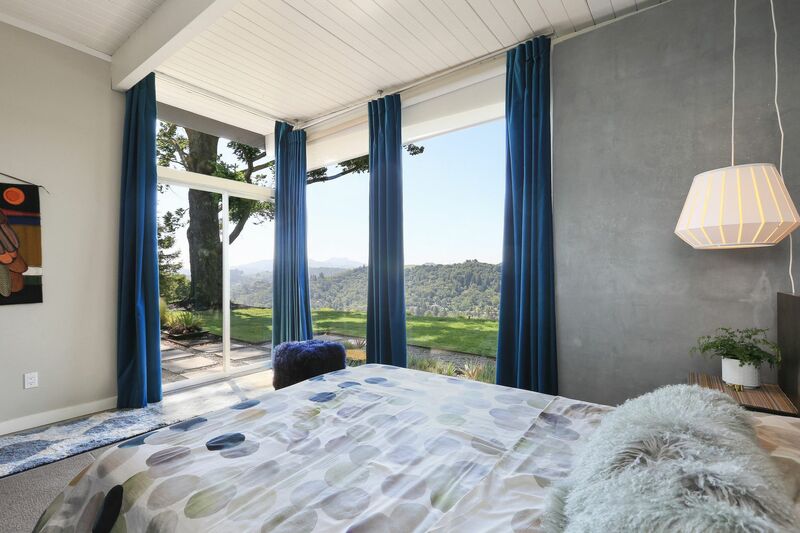 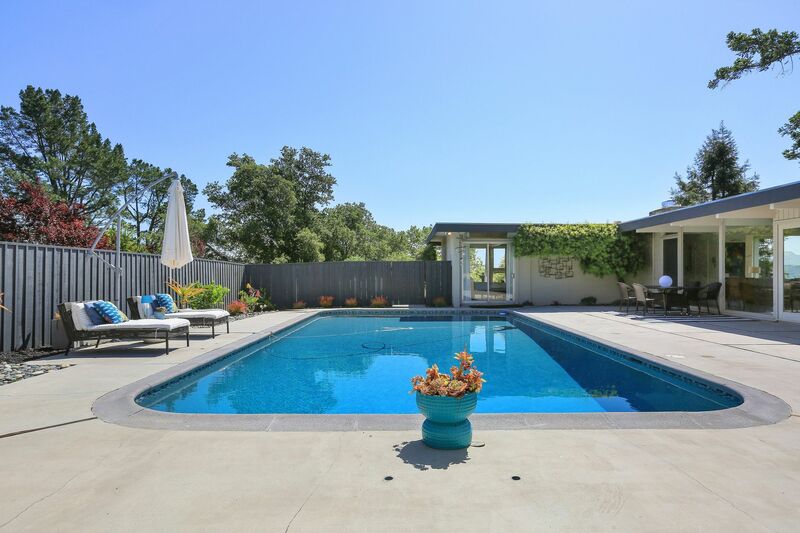 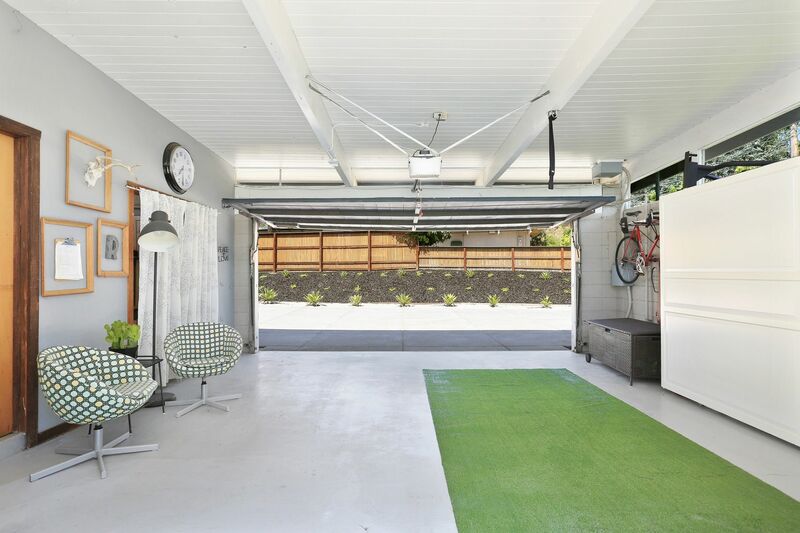 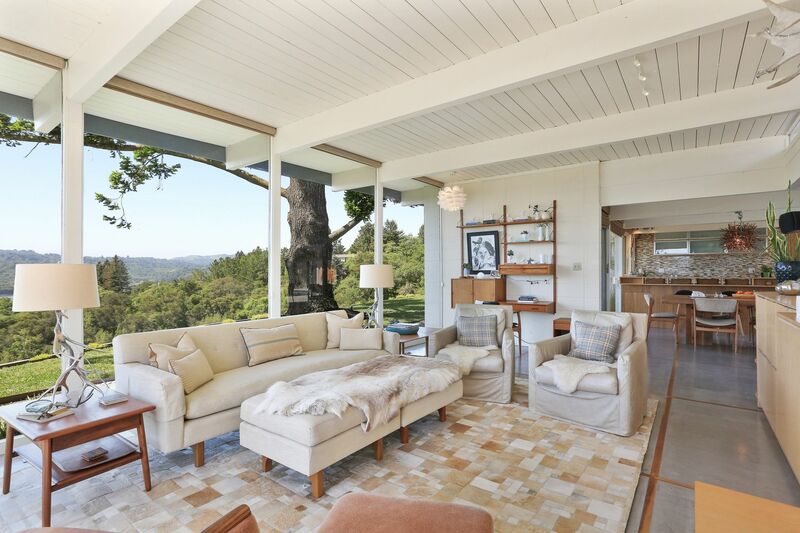 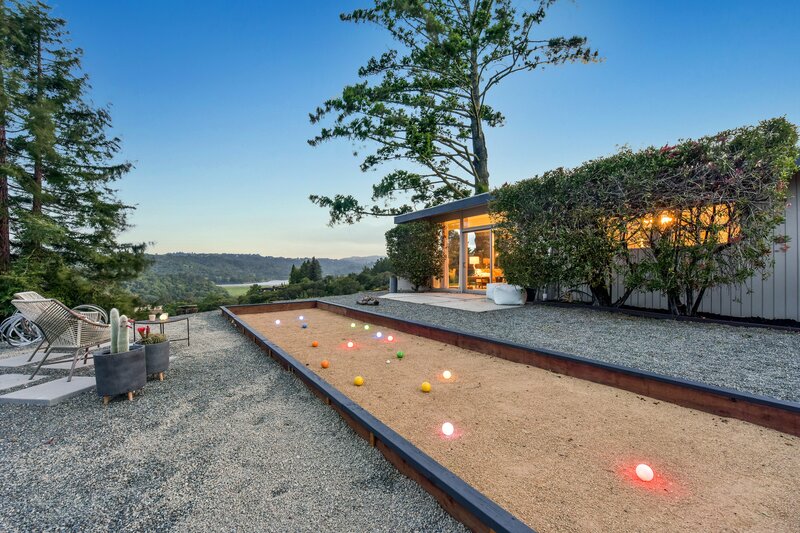 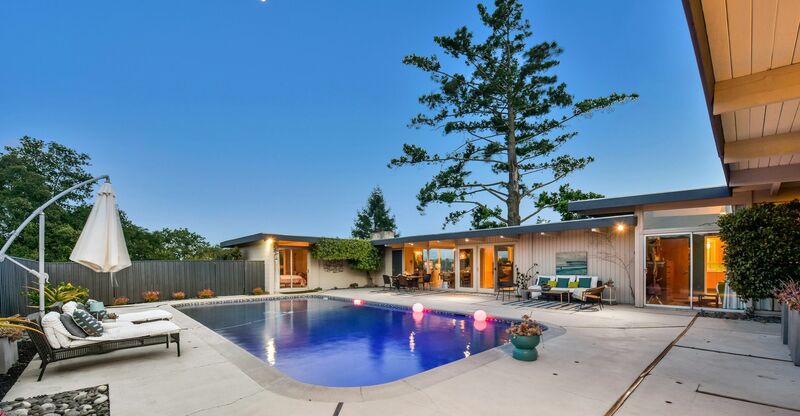 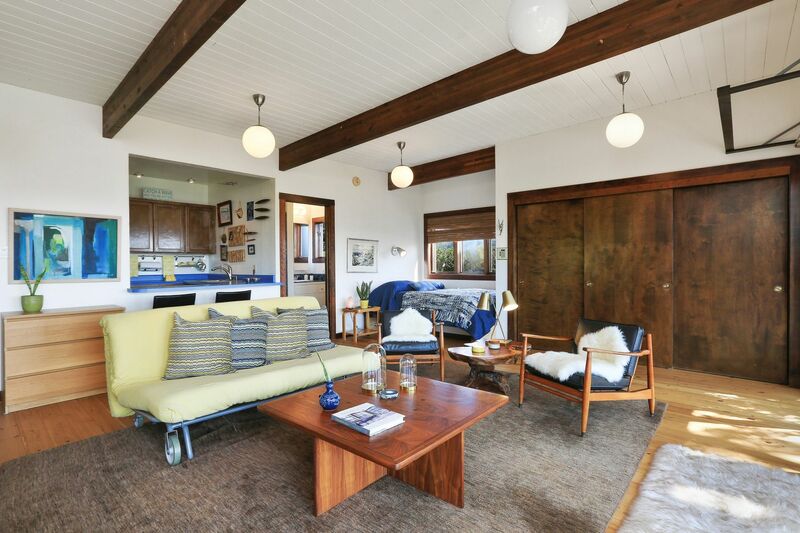 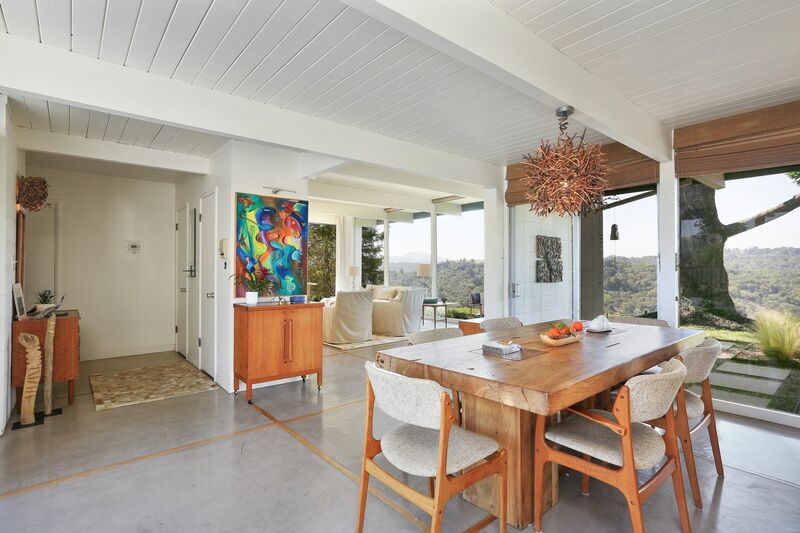 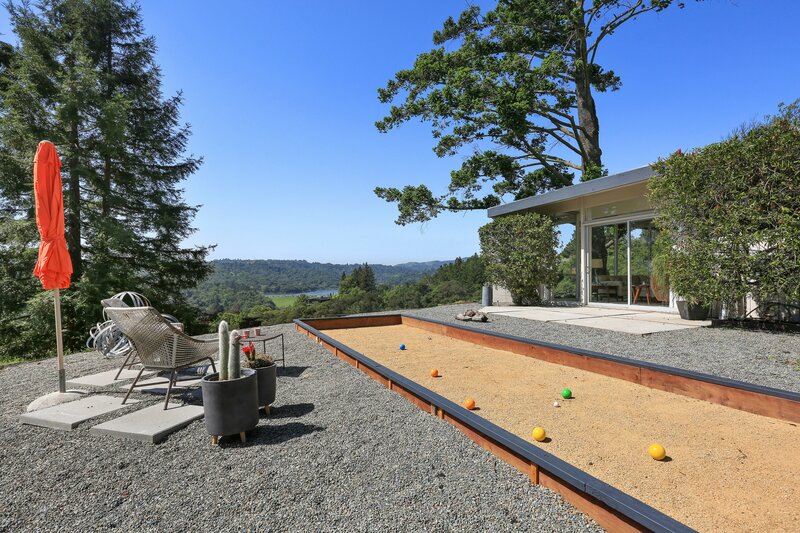 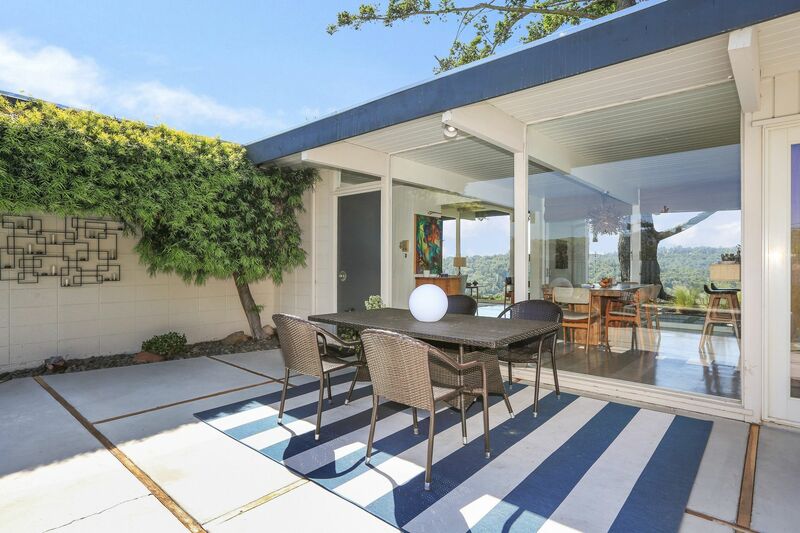 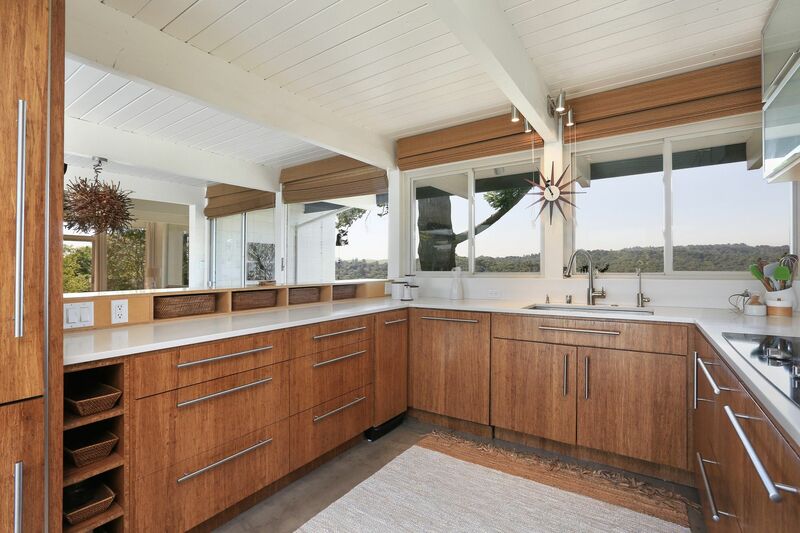 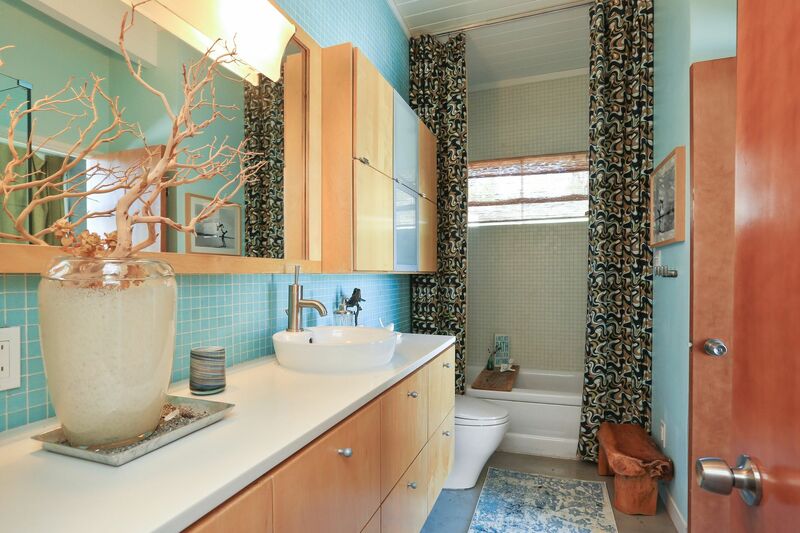 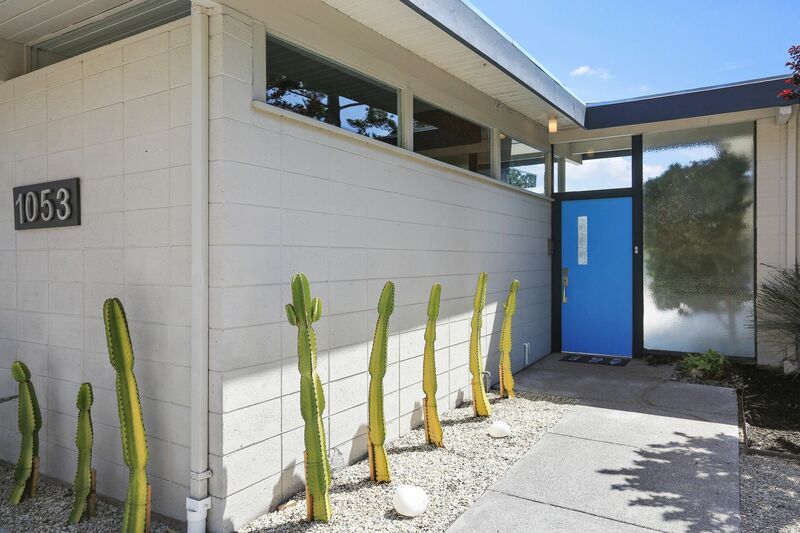 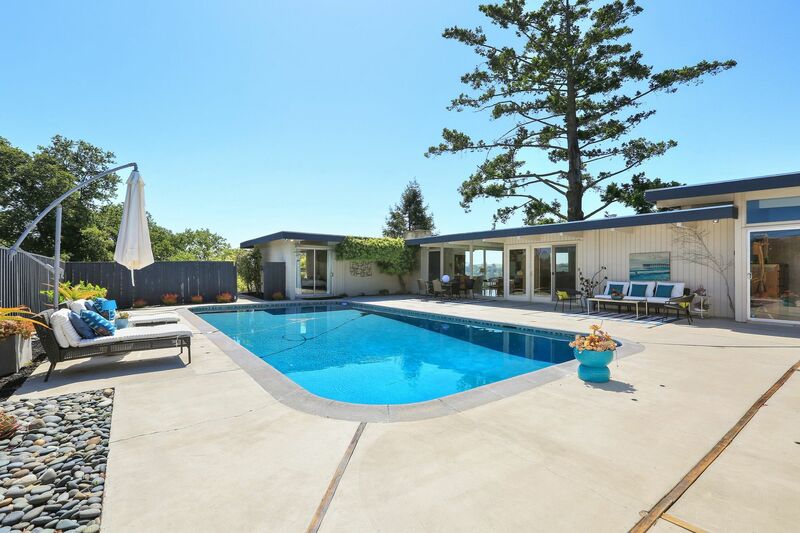 Marvelous mid-century design and spectacular view property with sweeping, unobstructed vistas that span from Briones and Mt. 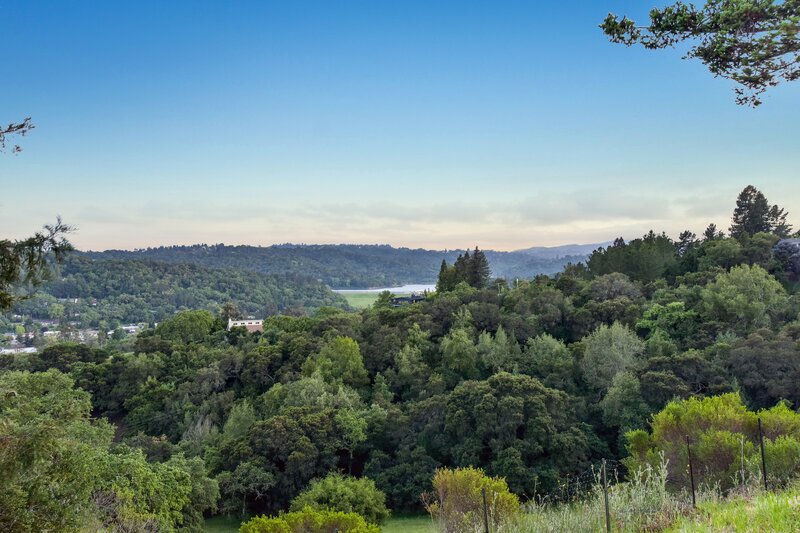 Diablo to the Las Trampas Ridgeline and Lafayette Reservoir. 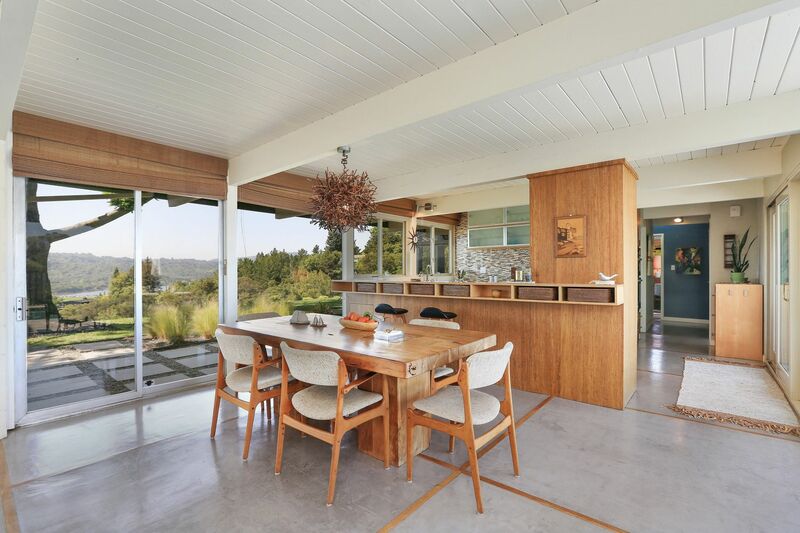 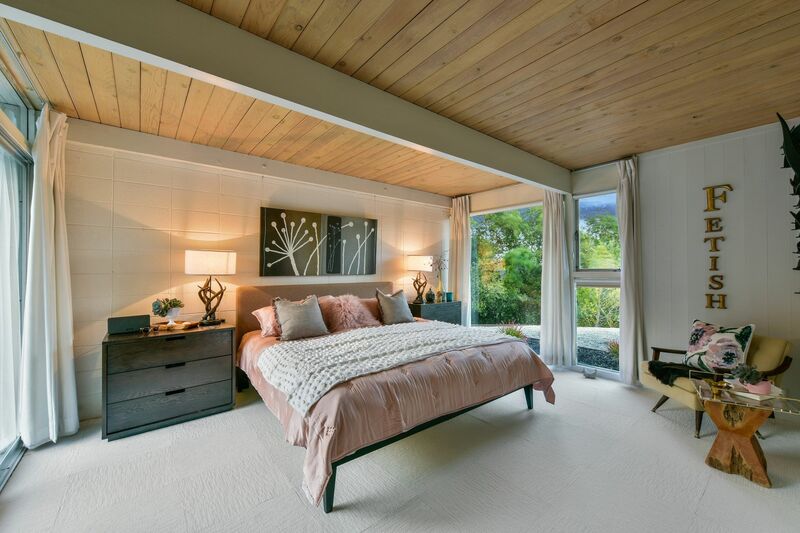 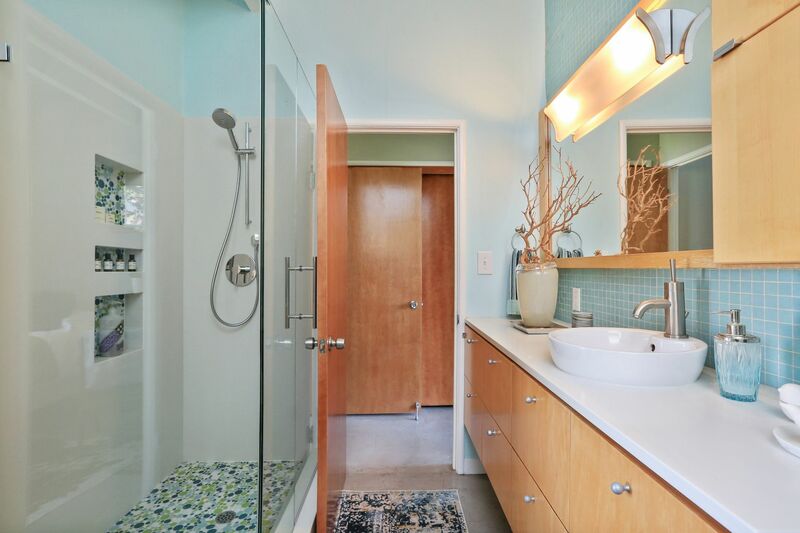 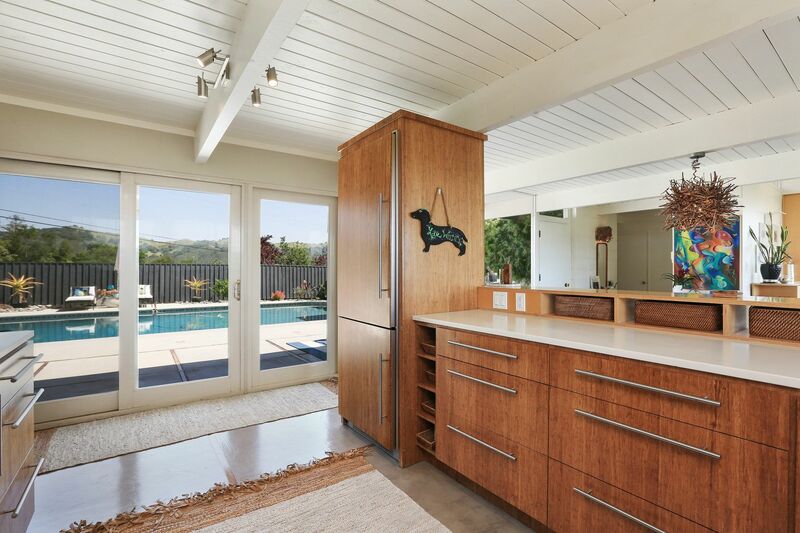 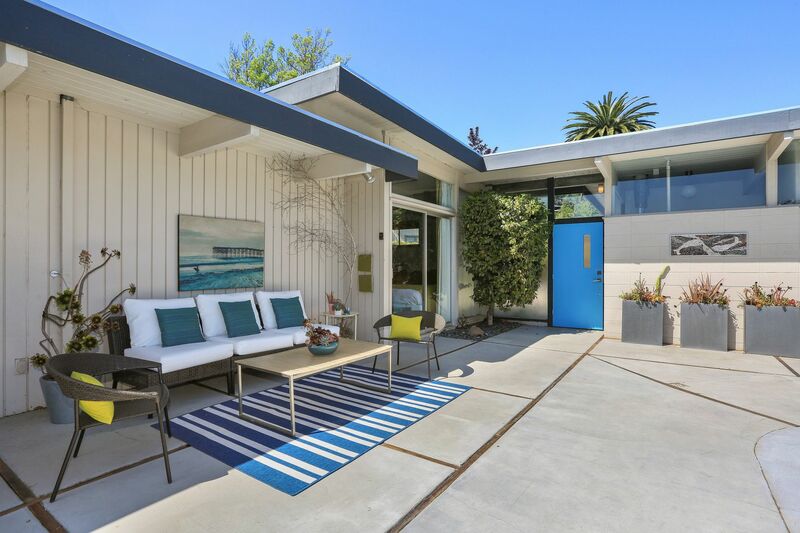 Clean and crisp lines, highly functional spaces, and architectural detailing harmoniously blend in with its breathtaking natural surroundings providing authentic mid-century modern living. 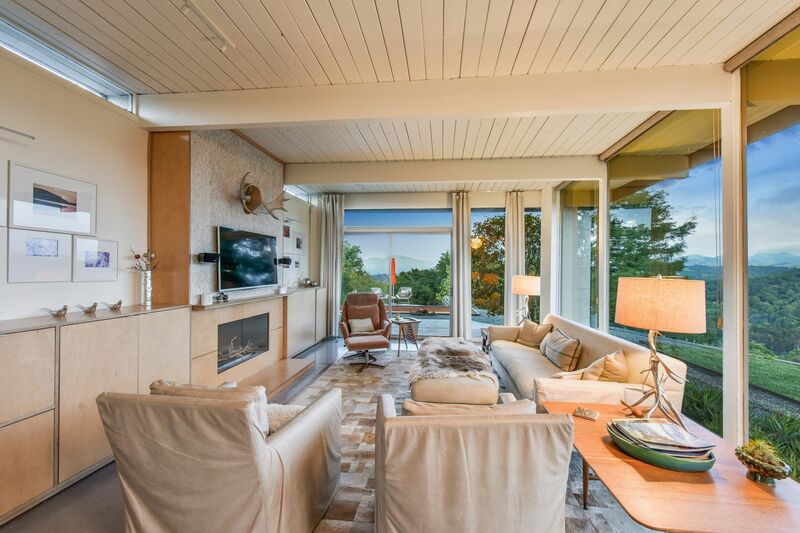 The three bedroom, 2 bathroom main house with floor-to-ceiling windows and multiple sliding glass doors epitomizes the California indoor-outdoor living that expands the living space out into amazing outdoor venues. 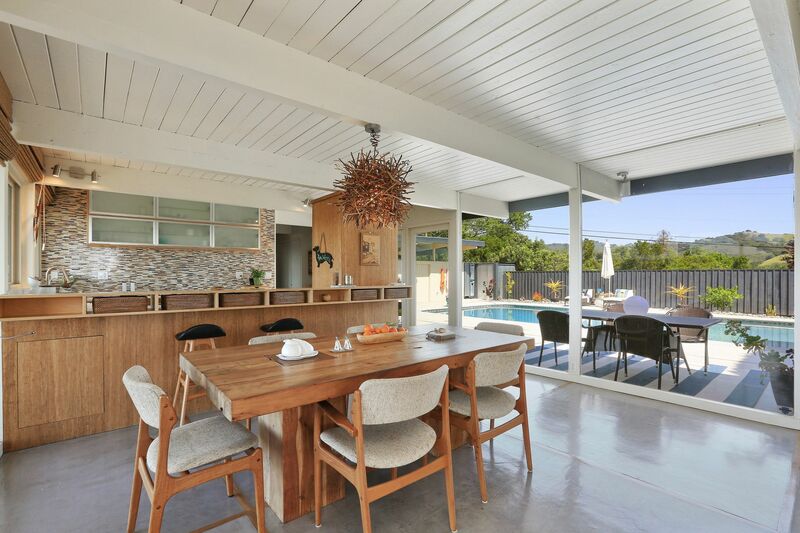 Enjoy the centralized gated courtyard with spacious patios, and sparkling pool, or the wrap around gardens, lawns and patios with the expansive lookouts where you can witness glorious sunrises and magnificent sunsets. 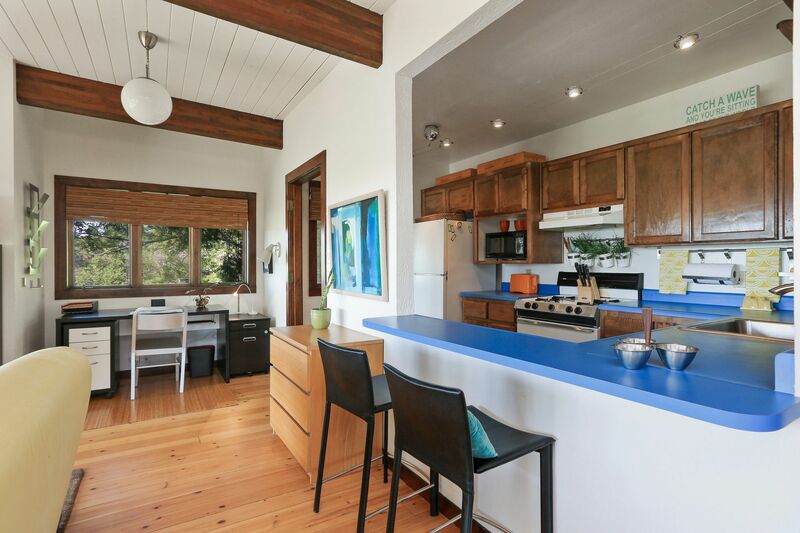 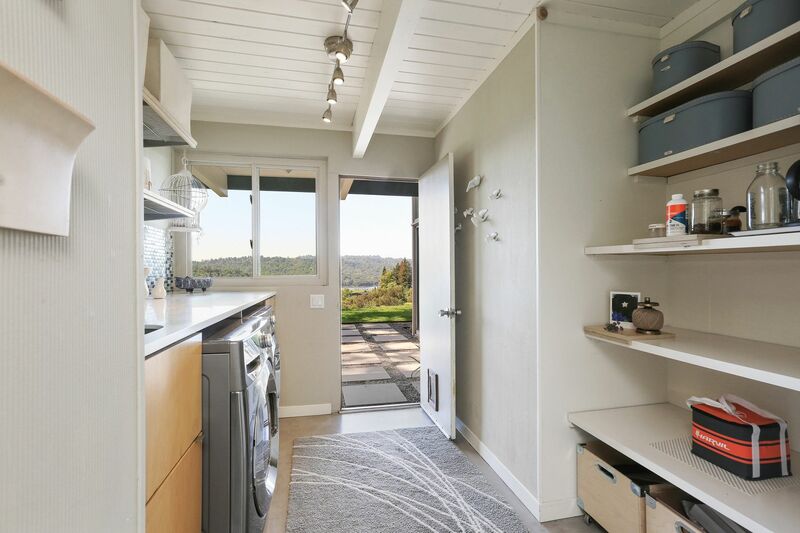 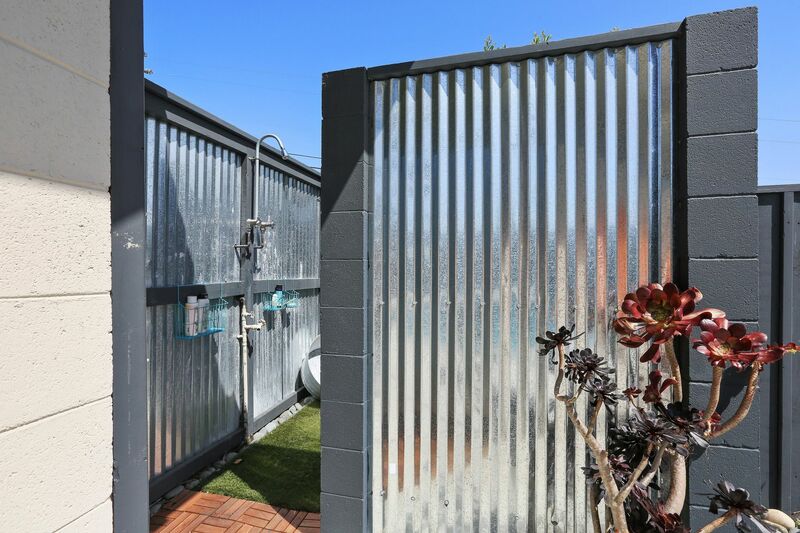 A detached guesthouse/studio with kitchen, full bath and view deck offers wonderful flexible space to accommodate guests and tenants or create a home office, fitness center or art studio.